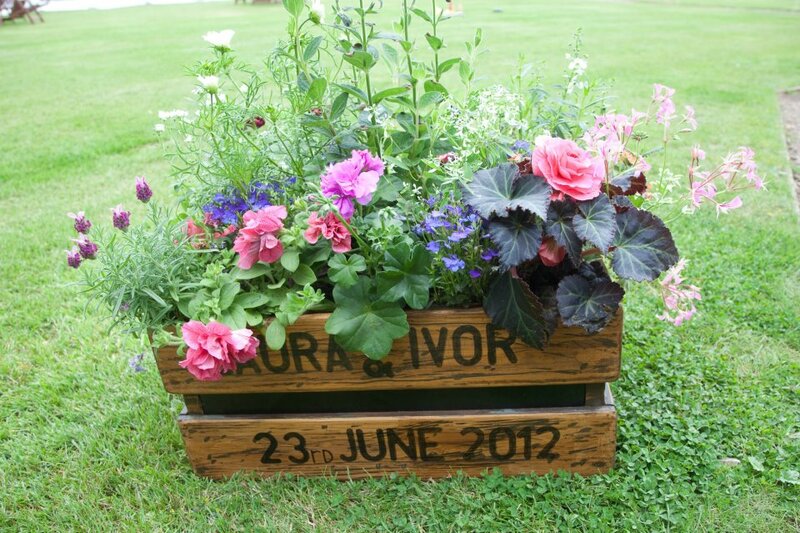 Personalised wedding flower boxes, the perfect welcome for your guests. 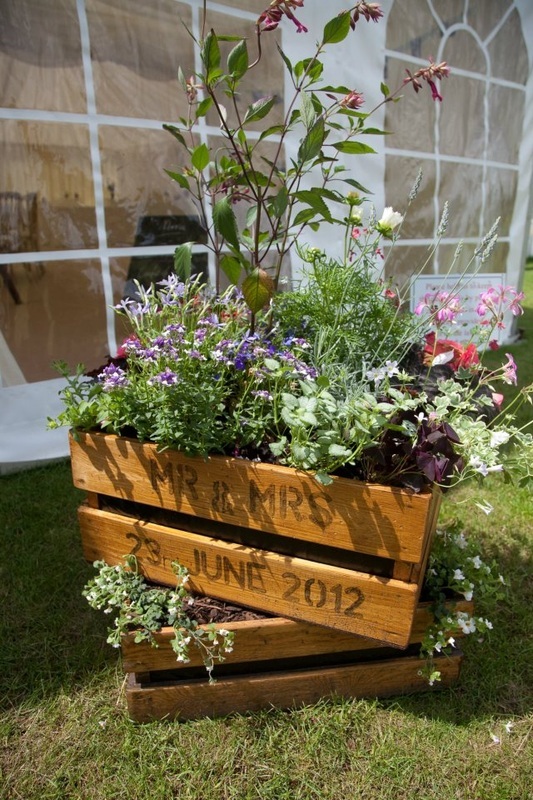 Available to hire with your personal message, with or without seasonal planted flowers. Please contact us with your choice of colours. Unplanted can be delivered or collected. Planted box - this is extremely heavy when planted and needs 2 people to carry. We are based in the East Midlands Market Harborough, Leicestershire. Covering a large area Northamptonshire, Cambridgeshire, Bedford, Nottingham, Birmingham, Warwickshire and the Midlands get in touch with your postcode and we will advise on delivery costs. Items can also be collected from us. Please contact us with your list of items and we will email you a quote for delivery. Many of our hire items are very popular so try to book these as early as possible.